We’ve heard of surprise weddings where guests think they are attending a birthday bash and then, bam, it’s a wedding. And typically engagements are a surprise to the person on the receiving end of the ring. But have you heard of a surprise engagement/wedding all in one night that only the bride doesn’t know about? Danny Rios wanted to surprise his girlfriend with a proposal and a wedding to take the stress of wedding planning off her plate as she struggles with lupus. Nicole was set on planning a surprise wedding one day, but she had no idea that her husband-to-be had taken it into his own hands. “I didn’t think we’d even be getting engaged for at least a year,” she revealed in the same interview. 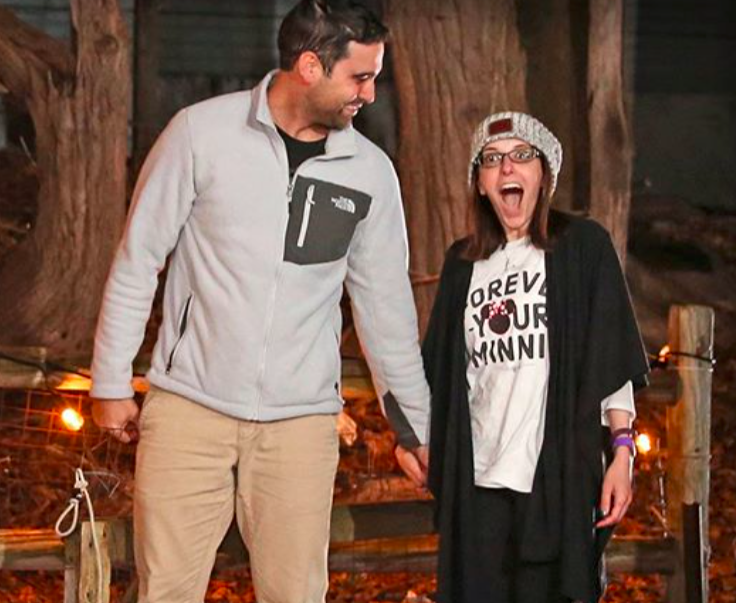 The couple had just returned home from a vacation together on December 8th, 2017 when Nicole saw that the backyard was set up with twinkle lights. First, Danny proposed, which was enough of a thrill, and then two hours later, they were married. Wow, get you a man who can do both (plan your proposal and wedding).